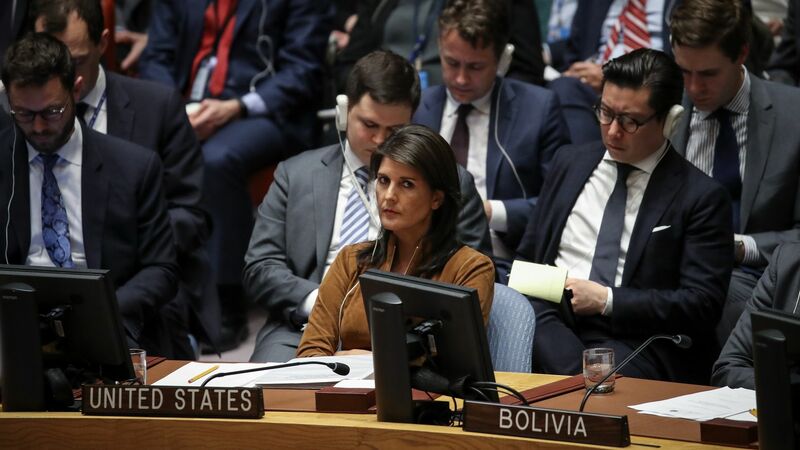 U.N. ambassador Nikki Haley said at a U.N. Security Council meeting Saturday that President Trump told her the U.S. is "locked and loaded" if Syria uses chemical weapons again. What's happening: Russia called a meeting on Saturday morning to discuss Friday night's coordinated strikes on Syria. Russia was pushing for a vote to condemn the strikes, carried out by the U.S., U.K., and France. It failed. Haley said the U.S. gave diplomacy "chance after chance" with Russia and Syria before deciding to launch the strikes, but on Friday "the time to talk ended." Karen Pierce, U.K. Ambassador to the U.N., added she "will take no lessons on international law from Russia." France's U.N. envoy, Francois Delattre, explained the strikes were "a necessary response."